My pond displays a new creation every day. 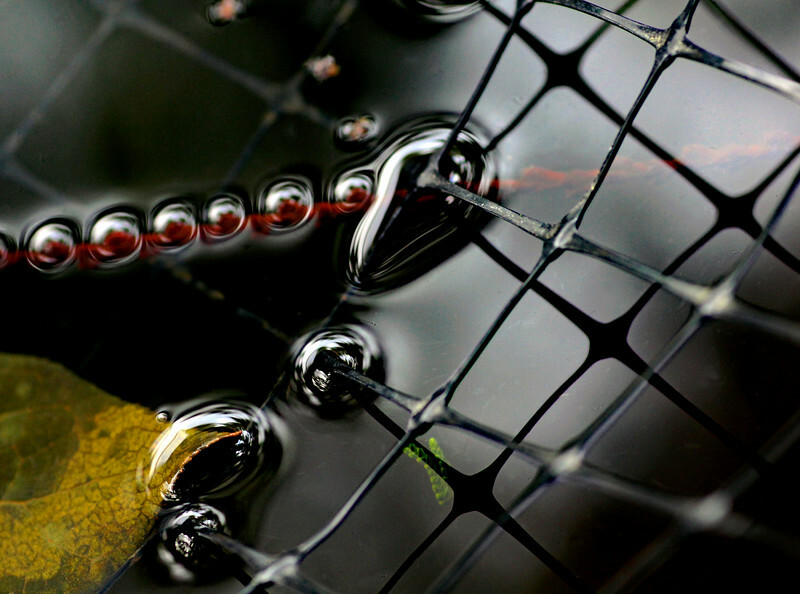 A submerged leaf is breaking the surface, a red cedar bough has a row of bubbles on it...decorating the surface of the water and the grey sky overhead provides a canvas for the net's shadow on the water. All produced by nature for my entertainment.